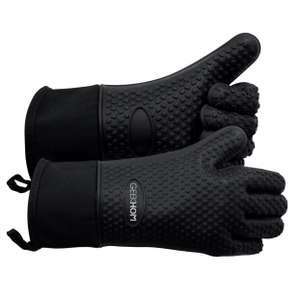 I have these oven gloves. Paid £11.99 though but they are very good and easy to clean. These are good, although a little large. 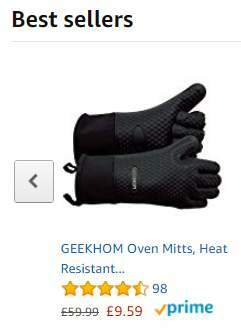 I have these oven gloves. 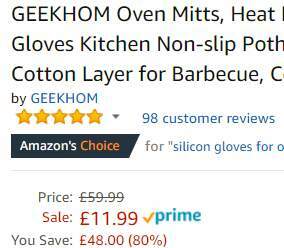 Paid £11.99 though but they are very good and …I have these oven gloves. Paid £11.99 though but they are very good and easy to clean. Yes you can, I use them to take plates and bowls etc out of the microwave. They are quite big on me but it doesn’t cause me a problem nor does the cotton. Honestly they just need a rinse with some washing up liquid if they need cleaned and they dry quickly so it’s no big deal they can’t go in the dishwasher.